As 2017 comes to a close, I'm finding it hard to believe how fast this year has passed. The new year is an appropriate time to reflect, but also to look ahead. As we fix our eyes on 2018, we should ask ourselves, "How can I be better?" "What do I want to do differently this year?" Our University of Kentucky Creed symbolizes what it means to be a Wildcat and a member of the UK community. I promise to strive for academic excellence and freedom by promoting an environment of creativity and discovery. I promise to pursue all endeavors with integrity and compete with honesty. I promise to embrace diversity and inclusion and to respect the dignity and humanity of others. I promise to contribute to my University and community through leadership and service. I promise to fulfill my commitments and remain accountable to others. We believe in the University of Kentucky and will forever honor our alma mater." In a new year, what resolutions can we make to hold ourselves to the promises of the UK Creed? 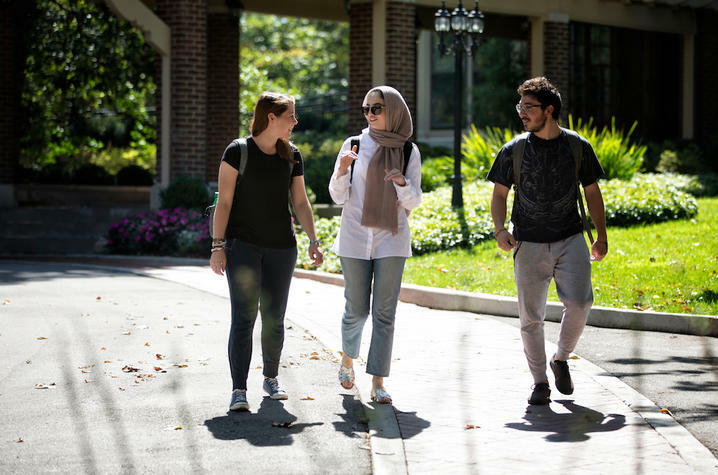 We are a university striving to create a community where everyone — regardless of identity or perspective — feels a sense of belonging. In that spirit of community, I am asking people across our campus to submit their New Year's resolutions here and keep them in mind throughout the upcoming year. If you wish to provide your email, we will communicate your resolutions back to you in a few months. I hope this initiative is one small way we can all hold ourselves accountable to creating a more inclusive campus community where everyone feels a sense of belonging and where everyone contributes, everyone benefits. I wish you and yours a safe and happy holiday season. I look forward to continuing our work in 2018.